According to UN sustainable development goal 6, everybody should have access to safe and affordable drinking water by 2030. This goal demands new technology solutions, and together with PlanBørnefonden we are testing a new solution which could potentially replace handpumps in the most remote rural communities. "According to Unicef, more than 260 million people have to spend at least 30 minutes every day fetching water. Women and children in developing countries often have to walk far to reach a well and pump the water up by hand. If the pump works, that is. Because handpumps are fragile and they often break down." 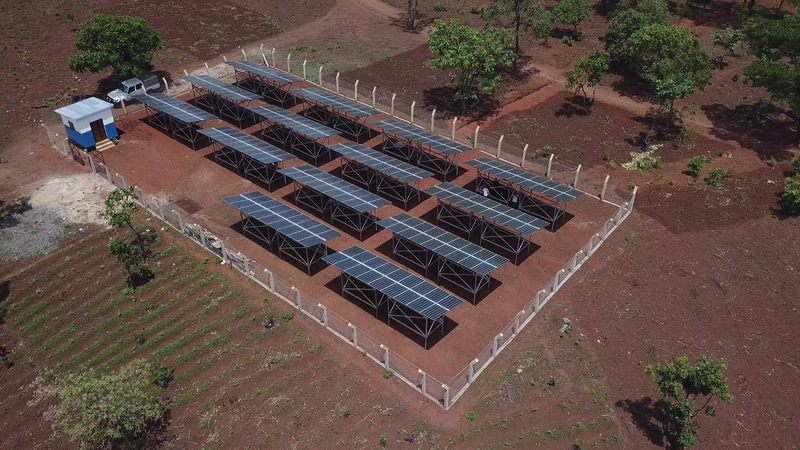 PlanBørnefonden (Plan International) and the Poul Due Jensens Fond have initiated a pilot project testing a new solar- and battery driven pumping solution in two communities in Togo, west Africa. Saltwater battery backups charged by solar energy will replace old handpumping solutions and deliver water directly from the ground into the village, day and night. Millions of people who live in rural villages too small or too isolated to establish large-scale water services have to live with the consequenses of the lack of safe water. ”If there is no access to safe water in the village, these people fetch it from natural sources, such as rivers, where the water quality is questionable. This leads to health problems, such as diarrhoea, which kan be fatal in the long run, says Helene Egebjerg, Programme Development and Partnership Officer at PlanBørnefonden. Even if there is a well with a handpump, it is often far from the village, posing a saftey risk to the women and children fetching water. ”If they are fetching water at night, women and children often have to cross large distances in darkness, vulnerable to attacks and other dangers. It also affects the children’s school attendance if they have to spend many hours fetching water,” Helene Egebjerg explains. The new solution has been designed by Grundfos. Product Technical Manager Jesper Blankenfeldt explains that the system is constructed to deliver water day and night – without the need for storeage tanks where bacteria and other micro-organisms can easily contaminate the water in the tropical climate. The saltwater batteries are harmless both to the environment and the locals. And an extra bonus is that the battery technology seems to cope better with the climate than traditional batteries. ”In Africa, it has been very common to use lead/acid batteries. When they have reached the end of their life, they must be handled corectly in order to not harm people or the environment. Saltwater batteries, on the other hand, contain nothing toxic. And according to our calculations they can last around 10 years even in extreme heat,” Jesper Blankenfeldt explains. Find out more about the batteries we are using (Bluesky Energy). If the new systemn is a success, it could become key to fulfil UN sustainable development goal 6, especially when it comes to remote rural villages – one of the key target groups for the Poul Due Jensen Foundation. 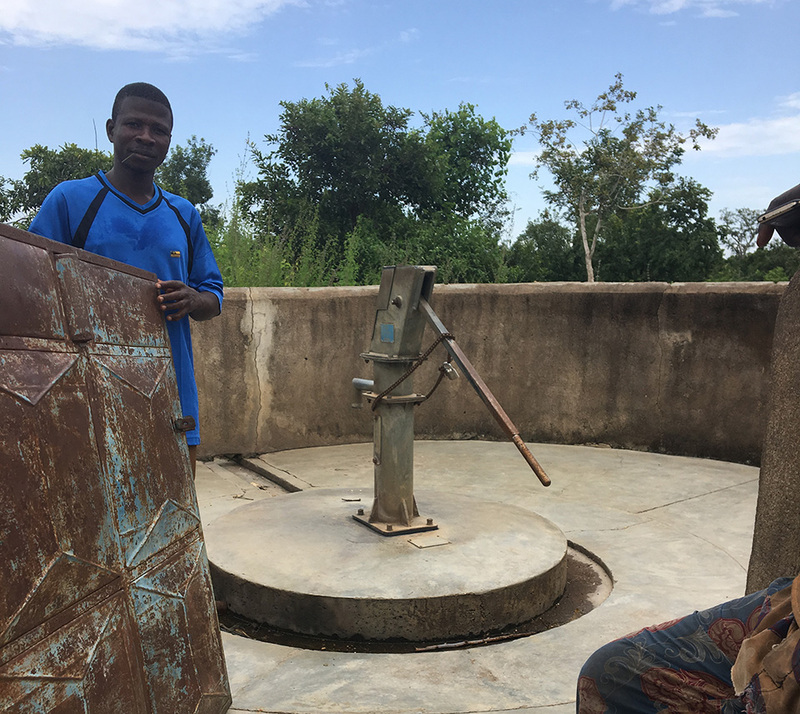 ”The Togolese authorities do not have the ressources to maintain water supplies with storeage tanks in villages with 1,500 inhabitants or less, of which there are about 10,000 in Togo. With this new pumping system, we can secure access to safe drinking water in even the smallest communities,” says Nils Thorup, Programme Manager for Water, Poul Due Jensen Foundation. The solution could potentially help millions worldwide. ”In India alone there are 1.3 million water pumps driven by diesel-driven generators, that are noisy, smelly, break down and need repairs, besides the obvious pollution. Our new solution just needs sunshine or wind,” says Nils Thorup. The new system is scalable in a completely new way. You can start with a small-capacity system for a few people who use very little water. If consumption per capita increases or the village grows, it can easily be expanded with more solar panels and an extra pump – if the borehole yield allows of course. ”You couldn’t do that with a handpump. 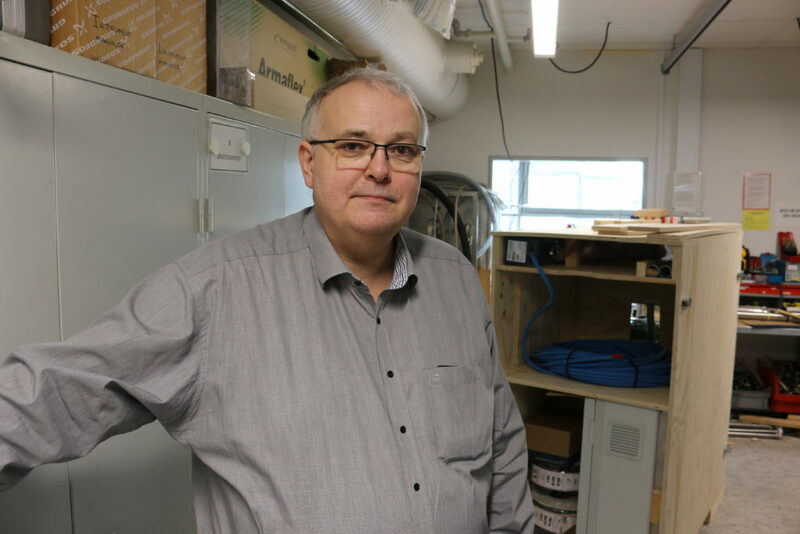 You would have to start all over again, investing in a new boreholeand finding a place for the new pump if the capacity of the first pump is maxed out,” Niels Thorup explains. One of the two villages for the battery project has been located, while the location of the second system is being established. PlanBørnefonden and the Poul Due Jensen Foundation expect the pumps to be up and running by fall 2019. The battery project is part of a longer collaboration between PlanBørnefonden and the Foundationin Togo. Find out more. The Foundation reaches out to the world's poorest in rural communities and forgotten refugee camps in partnership with professional NGOs.